Polished concrete floors offer a beautiful alternative to floor coatings and coverings. The gleaming polished surface is naturally slip-resistant, dust-free and simple to clean and care for. Our concrete polishing unlocks the beauty hidden within this incredibly durable material. Polished concrete floors are great for LEEDS as there are no VOCs (Volatile Organic Compounds) and your floors are ready for use as soon as the polishing is complete. There is no down time for curing or drying. Polished and densified floors are easy to care for. The hardened surface is scratch-resistant and repels many liquids, preventing staining and making clean-up a breeze. 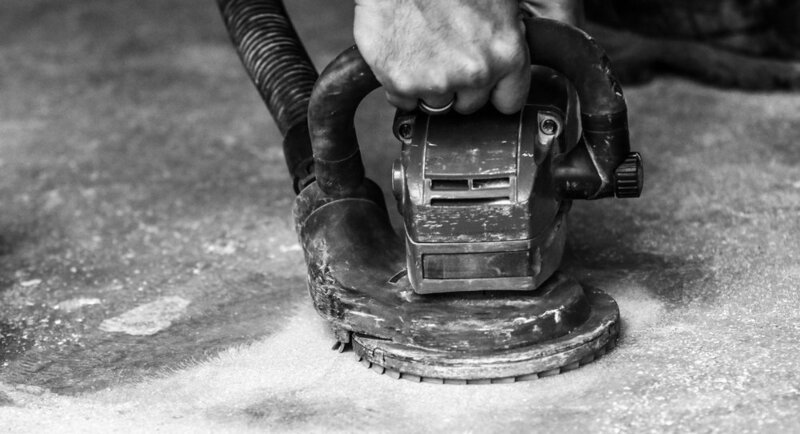 Our Concrete Polishing Process involves grinding, polishing, colouring and densifying. Contact us for more details and options to bring out the beauty hiding in your floor.